This apartment has two bedrooms and sleeps six to eight people. 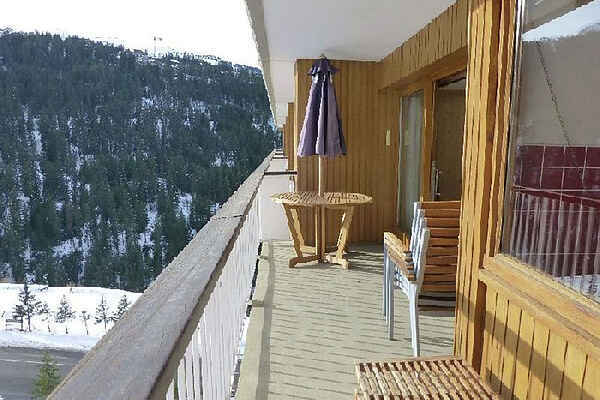 The balcony faces south, so you can quickly enjoy the winter sun. Is not it nice! The house is well equipped with bunk beds as usual. 4G Internet is available free of charge. Best of all: at this ski in / ski out condo is you as the snow for a day of adventure, you will stay in the district of Courchevel 1650. This is a nice base for the slightly advanced skiers because the slopes above this village! generally slightly flatter than in the other villages of the Three Valleys. This also makes it a great area for families. You will find both luxury restaurants for the jet set as normal restaurants where you can dine excellently. For those who are tired of skiing what else is there to choose from a visit to the Olympic ice rink, a helicopter ride, a snowmobile tour or a trip with sled dogs. Obviously the apres ski excellent.